Locals have long known what other area diners are just figuring out: Takoma Park — the town of bungalow homes, eclectic street art, and free composting — has a downtown food scene that is quietly expanding. And local, funky, and eclectic tend to be what suits this neighborhood best. When Starbucks wanted to come to Carroll Avenue, one of Takoma Park’s main thoroughfares, residents initially balked, lobbying to keep the community filled with independent operators. Open for breakfast, lunch and dinner, this family-run coffee shop/bar serves gourmet fare including fried pork belly, tartines, and meatless meatballs alongside more traditional salad and sandwich options. Don’t miss the Harper Macaw hot chocolate, made in house with 67 percent cocoa drops straight from D.C.’s own chocolatier. Also worth trying: the Takoma Breakfast sandwich featuring poached egg, apple butter, country ham and cheddar cheese. Co-founder Chris Brown, a former science teacher at Montgomery Blair High School, has trained former students to serve as baristas, while his partner, cousin and Northside Social alum, Seth Cook, instructs staff about the particulars of good coffee-, tea-, and espresso service. 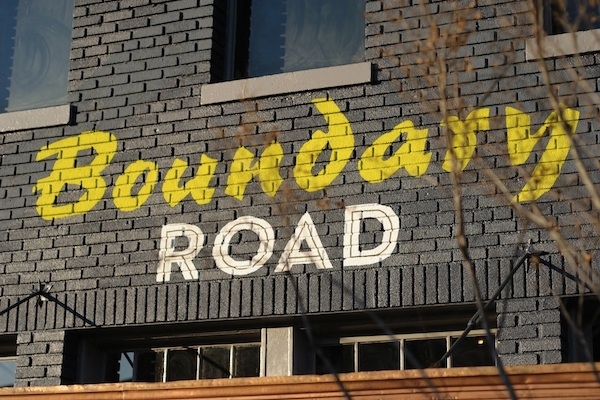 H Street restaurant Boundary Road is getting a makeover. The new American spot from Karlos Leopold has closed and will be rechristened as Bar Elena in late August, featuring an expanded menu and bar as well as classic arcade games. Leopold tapped Adam Stein to be the new chef and managing partner of Bar Elena. Stein, who is currently heading up development of The Eleanor (a 7,000 square-foot bar and restaurant complete with indoor bowling lanes in Ivy City), is no stranger to the restaurant. He became close with the staff while helping to open the Big Board across the street. As far as food goes, the team will continue serving seasonal dishes, with the addition of a shellfish section featuring roasted oysters, stuffed little neck clams, and “monster spaghetti” made with Maine lobster. Other new menu items include clam chowder poutine and a dry-aged beef burger. For the bar, Stein plans to bring in a lot of local brewers from Virginia and Maryland and build even stronger connections with the breweries and distilleries in DC. The restaurant will keep its craft cocktail menu as well. “I’ll certainly be pushing for the DMV first,” he says. Keep an eye out for the revamped Bar Elena at the end of the summer.